Function: The absolute hottest flush mounts out on the market today. LED (light emitting diodes) lights are the wave of the future. These lights are made out of the highest quality materials that are designed to withstand the elements. 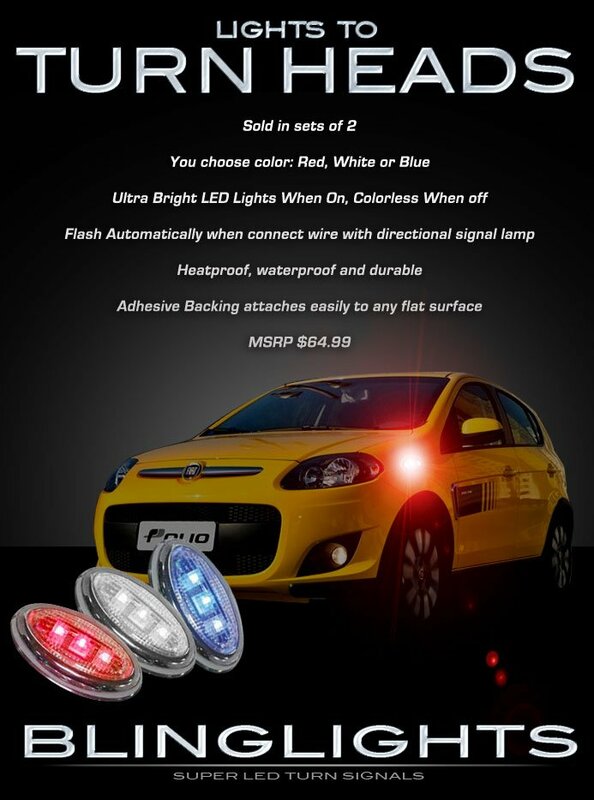 They have a clear lens and when lit, 3 separate ultra-bright LEDs light up in whichever color you choose. The outer ring comes in chrome. Hooking them up: These lights have a very strong dual tape that attach to any flat surface. These lights have two wires so they are either blinking or running lights only. Housing is made of super heavy duty polyurethane which makes them completely weather-proof. Kit includes complete installation instructions for install which takes about 10 minutes for each side. Can I hook the lights up to my factory signal switch? Of course, just run the wire to the signals on each side. The lamps will blink in synch with the signalers for each side when they are in use.